I'm a new resident; I have enjoyed the staff's friendly attitude. It was wonderful from the moment I came to your the property. I haven't had any problems. Apparently I have to pay extra for tennis. Also the washer and dryer were not reading my card. So I couldn't do laundry. I wish you guys could update the appliances for almost 900 a month I feel like I'm getting the short end of the stick. 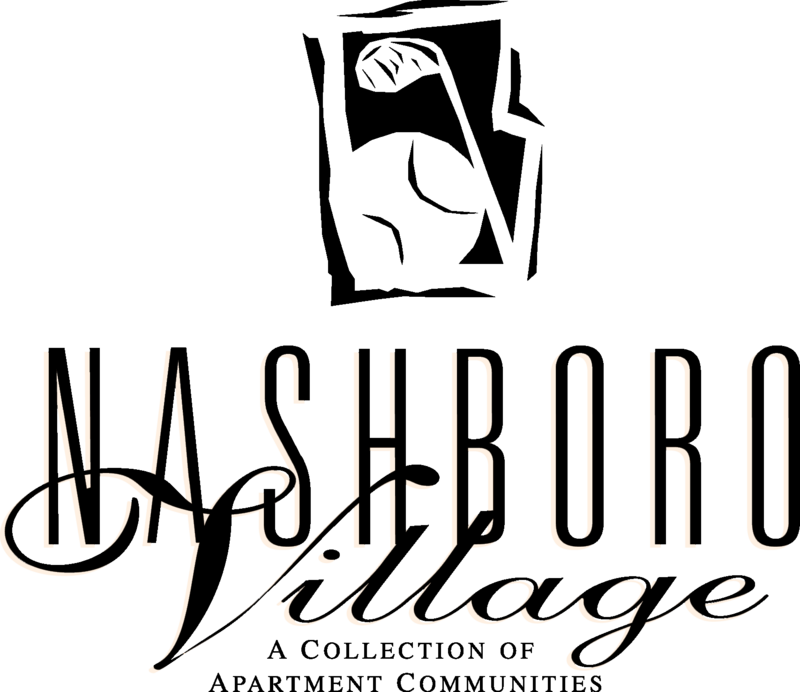 The facilities are nice but Nashboro Village as a whole does not put their residents first. They take their time fixing things and when they do it has to be nearly impossible to fix in order for them to feel obligated to do so. I am enjoying my Deerfield home. Settled in in about a week's time and enjoy quiet time (with the creatures in the wood) on the patio. Looking forward to the coming week with no traveling. I'm working on my 2nd year here..its not a bad community to live in..and maintenance have gotten better..never had a problem with neighbors and office believe in sending letters out when something not right. Grounds are clean and well kept. Office staff responds to concerns in a timely manner. I just wish the water bill was cheaper. Maintenance team also responds to concerns quickly. Quiet and people are nice. Staff is very responsive to service calls. The area is good for walking my dog. Parking could be better, but, all in all, it's a pretty nice place to live. I've been here over 13 years I believe, been so long I can't remember. In any case you know I got to LOVE it to stay that long. The apt is spacious, the grounds are beautiful and the staff, as well as maintenance, is fantastic. More important I feel safe and have NEVER had a problem. Me and my family are new tenants in Nashboro Village, it is in a convent location and it is also very quiet. The apartment is nice and spacious also. We love our new home in Nashboro Village. Absolutely love the apartments! Everybody seems very friendly! No complaints at all! The office has been great to inform us of rules, regulations, and help as needed. So happy I chose these apartments! Thus far it has been quiet,convenient and friendly all what i expected. Clean and plenty of room. Maintenance arrived within a minimum amout of time. As rate of 1-10. I give a 8.5. Everything has been great. I came with two issues and they were both taken care of very promptly. The first was an issue with roaches being in the kitchen of my unit. I told Miss Channity, she put it in the bug book and just a few days later the pest control unit came in and sprayed. I have had ZERO problems with roaches since. The second was that I needed a washer and dryer rather quickly because I could not obtain my washer or dryer from my previous residence. Miss Dorinda put in the order and I had the washer and dryer 4 days later. It's been great. I have no complaints thus far and have received great service and concern for my issues that I presented to the office. I love my new place ! Very spacious and nice ! The staff is very friendly nice and helpful. They are always willing to answer any questions. I like bed here when I first moved to Nashville. Now I've moved back 3 years later and this was my first pick again. Everyone is always so helpful and pleasant. Maintenance is friendly and helpful. When we moved in they came right away for issues we listed on our move in checklist and fixed it the same day, no hassle. Complex is quiet and there's always parking by our walkway. Only complaint I have is downstairs neighbors constantly smoke so we can't always leave windows open for fresh air. But other than that pleased with our new home. Conveniently located neighborhood, friendly and professional office staff, quick response to maintenance requests, great value, love that gym access is included and that there are so many tennis courts, no bugs, huge patios, great size 2 bedroom apartments, live the fireplace. No complaints the first 3 months here! Looking forward to when pools open up. Our complex has a very friendly staff and the community design is great! The golf course view and covered parking spaces are a great addition! Loving it here! I really love this place the community is awesome compared to my old place the stuff here are nice, and they are helpful in anything you have problems with. Since I have lived here in 2013 I haven't had too many complaints. Neighbors for the most part have been respectful and it has not been too noisy. I moved here in 12/2016 It has been an awesome experience since . I love the PEACE and very clean environments every one in the leasing office is so friendly and very helpful. This team of office staff is Very courteous. Best place to live.